Rolling and crawling are currently some of the hottest trends in fitness and corrective exercise programming. From Animal Flow to Original, health and fitness professionals are exploring the power of primal movement patterning for correcting movement dysfunction and achieving optimal function. We actually happened to just do a webinar on this exact topic with Stop Chasing Pain’s Dr Perry Nickelston which we encourage you to catch the archived version on the EBFA YouTube Channel HERE! Why rolling and crawling are such powerful stabilization techniques is that they bring us back to our neurodevelopmental origins. Back when we were first introducing our nervous system to the demands of movement – millions of neuromuscular pathways were being developed. These neurological pathways soon become the joint stability and coordination needed to sit upright, resist gravity and ultimately put one foot in front of the other. What movement specialists are starting to realize is that by bringing it back down to the ground and reducing the demands of gravity, clients and patients are better able to restore stabilization patterns. One example of crawling stability is the quadruped position. In Animal Flow they call this position The Beast. Begin on your hands and knees with your shoulders directly over your wrists, hips over knees, neutral spine and feet flexed. After creating proper alignment on these 6 points of contacts, engage the deep abdominals and lift the knees 1 cm off of the ground. Immediately you should start to feel all your stabilizers engage. Richard Scrivener of Animal Flow recommends holding this 4 point Beast for 45 seconds to test stability. Despite the current popularity in rolling and crawling I think that it is important for movement specialists to remember that we are still bipedal animals and that simply training primal patterns is not enough to restore the demands of bipedal locomotion. One of the biggest differences between primal movements and bipedal movements is the degree of impact forces encountered with every step that we take. When walking each time our foot contacts the ground we are encountering 1 -1.5 x our body weight in impact forces that are entered at a rate of < 50 milliseconds. To effectively and efficiently load these impacts forces over and over (sometimes over 10,000 times a day!) requires fast and accurate stability. Now although we were training stability in our primal patterning that stability was not at the rate nor was it specific to the demands of bipedal foot contact. This is where foot to core sequencing comes into our programming. I refer the foot to core sequencing we use in the Barefoot Training Specialist® Certification as the critical step in locking in stability. Why do we want to lock in our stability with foot to core sequencing? The foot is the only contact point between the body and the ground which means this complex structure is the neurological gateway between impact forces and stabilization. 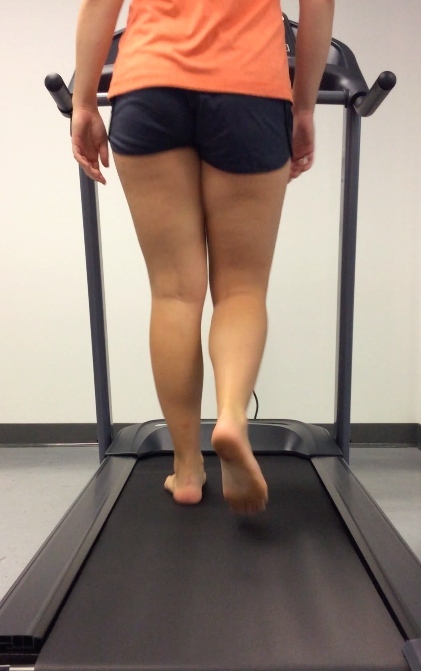 The simplest exercise to train foot to core sequencing is via an exercise called short foot. For those who follow my work probably new I was going to say this! A few tips with cueing and integrating short foot. Begin to coordinate the breathe with short foot / pelvic floor sequencing ensuring that the engagement happens on the exhalation. I prefer the breathe to be relaxed and not forced exhalation but natural deep breathing that involves the entire thoracic cavity with lateral ribcage expansion. Finally – as always – stay barefoot strong! When you hear the word “bunions”- what comes to mind? Do you picture the foot of a young athlete or that of a stiletto-loving woman? Often associated with high heels or blamed on “genetics”, bunions are actually more often due to improper biomechanics and faulty movement patterns. In the below article we will explore the impact bunions have on functional movement – from the way we stabilize our core to the way we push off with each step! 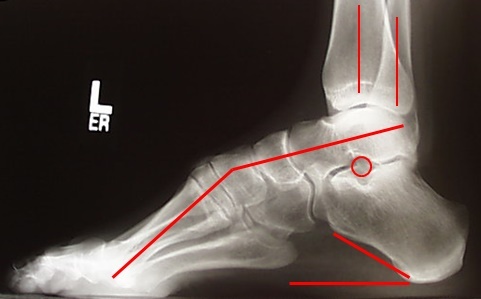 To fully appreciate the functional impact of bunions, we must first understand both the biomechanics of the first ray as well as the fascial lines crossing the bottom of the foot. When our foot loses stability of the 1st ray, specifically at the metatarsal / cuneiform joint, the long metatarsal is able to swing out medially forming the structure we recognize as bunions. As the metatarsal / cuneiform joint deviates medially, the soft tissue structures around the 1st MPJ begin to deviate laterally. What causes first ray instability? If you guessed pronation or calcaneal eversion you are correct. Some additional drivers of first ray instability include tibial:femoral external rotation or TFER. This was discussed in the blog post Subluxing Peroneals. In my office I find this TFER to be highly over-looked but one of the strongest drivers of bunion formation and foot dysfunction. 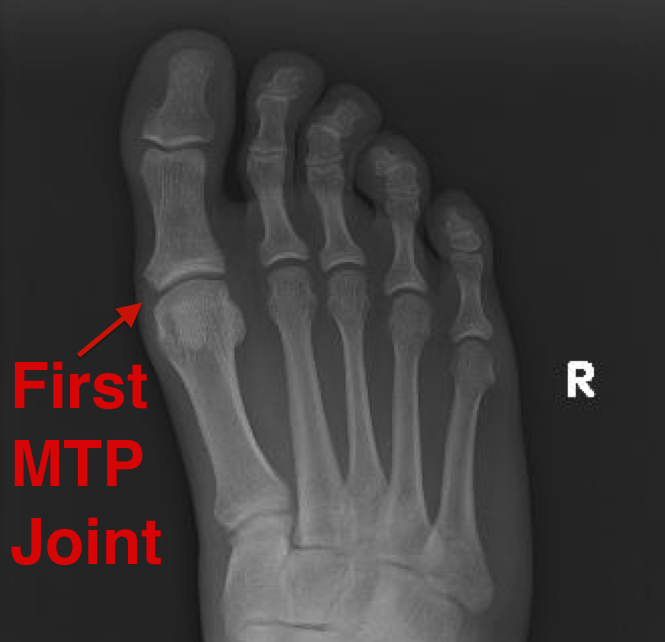 To further understand the impact of bunions we must now explore the stability of the 1st MPJ or great toe joint. Transverse plane stability of the 1st MPJ is a balance between the adductor hallucis muscle laterally and the abductor hallucis medially. What is unique about these two muscles is that they both share a tendon with another intrinsic muscle – the flexor hallucis brevis. The flexor hallucis brevis muscle is unique in that it has two small sesamoid bones lying in the tendons. If we take a closer look at the picture below we can appreciate how the medial tendon of the flexor hallucis brevis shares a tendon with the abductor hallucis, and the lateral tendon of the flexor hallucis brevis shares a tendon with the adductor hallucis. How 1st MPJ transverse plane stability impacts function has to do with what’s called sesamoid position. 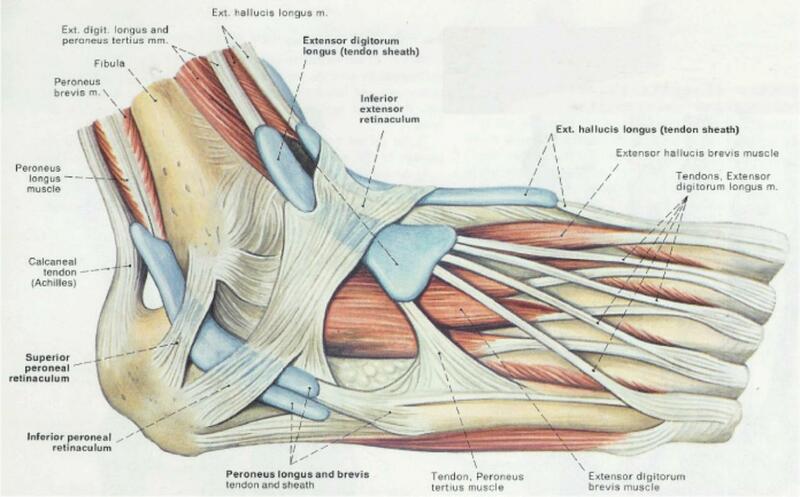 In the above picture we can see that the flexor hallucis brevis (and therefore sesamoids) are sitting directly under the 1st metatarsal head or 1st MPJ. This allows a perfect balance between the abductor and adductor hallucis. If we go back to the bunion picture (below). We can appreciate that the sesamoids have shifted laterally away from the 1st metatarsal head. How does this affect functional movement? The answer has to do with our fascial lines and how we stabilize proximally! In the plantar foot the Deep Front Line (which is our deep stabilizing fascial line) consists of the deep posterior leg compartment including the posterior tibialis, flexor hallucis longus and flexor digitorum longus. For the purpose of this article we are going to focus on the posterior tibialis. In EBFA education and programming we focus on how short foot specifically strengthens the intrinsic muscles of the foot and activates this stabilizing Deep Front Line. 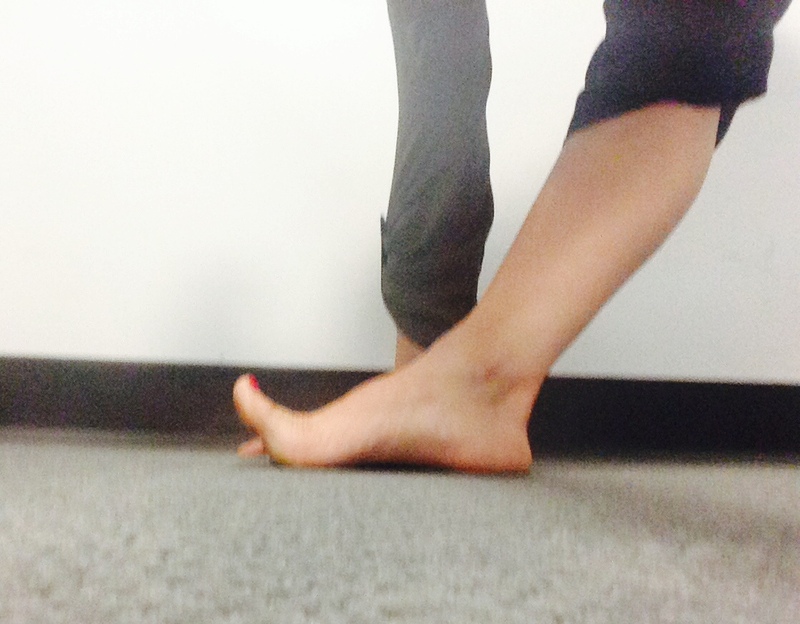 Short foot is a foot activation exercise that was first introduced by Janda et al. 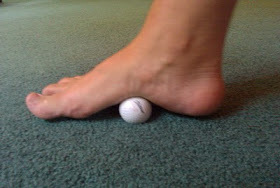 This exercise targets the abductor hallucis on the medial side of the foot. Because the abductor hallucis shares a tendon with the flexor hallucis brevis, and the flexor hallucis brevis has an attachment to posterior tibialis – we are able to tap into our Deep Front Line through short foot! How bunions impact proximal stability has to do with the abductor hallucis and sesamoid position. This lateral shift of the abductor hallucis pulls the muscle under the 1st metatarsal making it now a sagittal plane muscle (not a transverse plane muscle as it should be). It is this shift in the sesamoids driven by the bunion formation that impedes integrated proximal stability – from the ground up! As we interfere with Deep Front Line stability, we subsequently interrupt Spiral Line and Lateral Line stability (since they are all integrated through the posterior tibialis muscle). All movement is integrated – integrated movement that starts with the foot! Short foot is one of the exercises I recommend to keep the foot strong and integrated with the core proximally. But what do we do if our clients have bunions and we cannot get them to activate the abductor hallucis through short foot? This snazzy little product slips over the great toe and pulls it medially, allowing better engagement of short foot. By frequent use of Bunion Bootie – along with short foot exercises, your client will hopefully be able to restore foot to core integration. Will this correct a bunion? 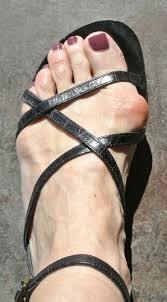 After a certain progression in bunion formation no bunion can be “cured” with exercises and/or toe stretchers. 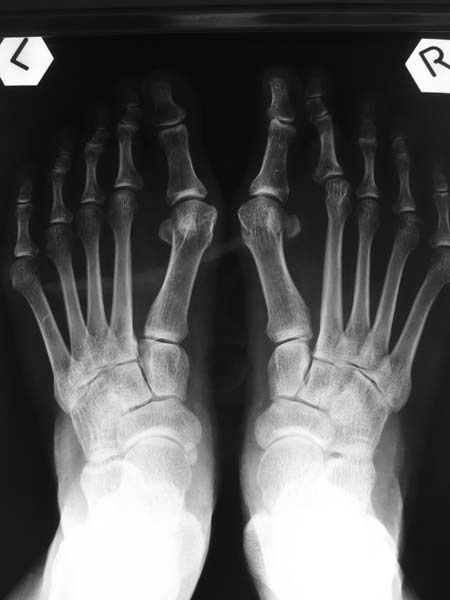 Since a bunion is actually an imbalance around the metatarsal / cuneiform joint or first ray – the only way to re-stabilize proper alignment is through surgery. However, for those clients who never want surgery but want to remain functionally integrated with their foot – Bunion Bootie and short foot is your answer! To learn more about the sesamoids, 1st MPJ and fascial lines please check out my other blog on Foot Function & Fascial Lines! Tensor fasciae latae (TFL) / iliotibial band (ITB) over-recruitment and tightness is one of the most common contributors to movement dysfunction observed in the lower extremity. Whether it is a dancer with an over-supinated foot or a runner with tibial femoral external rotation, hypo-mobility in this muscle (connective tissue) can be a strong deforming force. For today’s blog we will continue to explore how integrated the foot is with the rest of the human movement system. Below I will demonstrate how to use the foot (or more specifically the windlass mechanism) to enhance your TFL/ITB stretches. The one aspect of the TFL / ITB stretch that I believe is the most overlooked would be the rotation element. In my practice I find that it is primarily the internal rotation or transverse plane moment of the TFL that causes the most lower extremity dysfunction. So how can we enhance the external rotation that is occurring during our TFL / ITB stretch? The technique to increasing the external rotation moment during a closed chain TFL stretch is associated with the windlass mechanism. To understand the windlass mechanism you must understand the plantar fascia. Originating on the plantar medial tubercle of the calcaneus, the plantar fascia runs across the plantar aspect of the foot before fanning out into 5 slips and inserting into each of the digits. Keeping the digits relaxed, touch the bottom of your foot. You should feel the most superficial plantar intrinsic muscles. 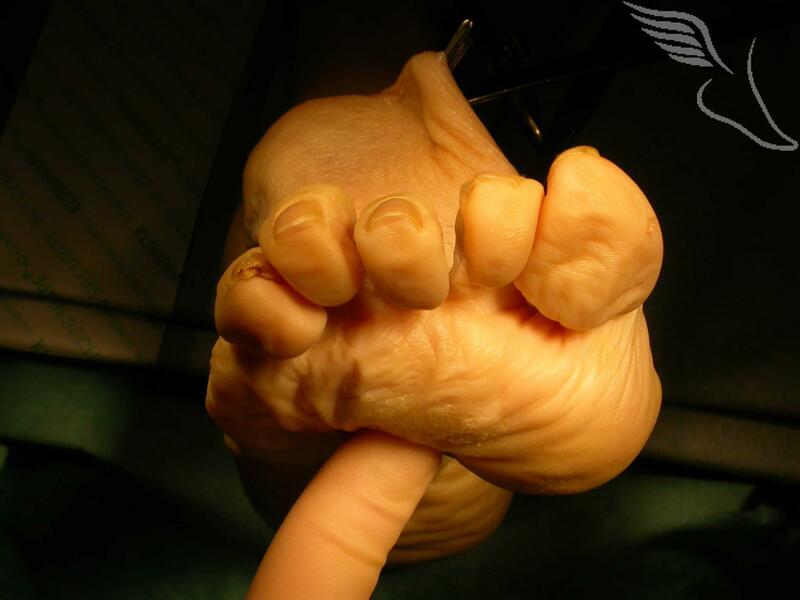 Now dorsiflex your big toe and feel the bottom of your foot again. You should feel the plantar fascia is now a tight band of connective tissue. This dorsiflexion of the big toe (or rather all your digits) and the subsequent tightening of the plantar fascia is referred to as the windlass mechanism. Because our plantar fascia inserts onto the calcaneus, and the calcaneus is part of the subtalar joint – the windlass mechanism must create a moment in the subtalar joint (STJ). Remember that any muscle or tendon that inserts or originates on the medial aspect of the foot or STJ axis is going to create inversion. If you recall, all STJ movements are coupled with tibial and femoral counter-rotations in the transverse plane. Since we need to externally rotate the hip to enhance the TFL / ITB stretch this is where the windlass mechanism will come into play. If we return to our two stretches above – Revolved Triangle Pose & Standing Forward Bend – to increase the external rotation moment in the hip all we need to do is activate the windlass mechanism. This is done by dorsiflexing our digits during the stretch. As you consider the application of the windlass mechanism in your TFL / ITB stretches remember that proper loading an unloading of impact forces during gait occurs through this deep hip internal / external rotation. If you prefer more dynamic stretches this dorsiflexion of the digits and activation of the windlass mechanism can be applied in a variety of ways and in a variety of stretches. Welcome to another post in the Barefoot Strong Blog! Today’s post is a great example of why all health and wellness professionals (including those that are specialists) must always consider the greater picture and consider integrated movement systems. Although I am a Podiatrist and am presented with patients complaining of foot & ankle pain or dysfunction, I take great pride in approaching all my patients with a holistic and functional approach. Each patient I see is assessed for foot function as it relates to the entire body and integrated movements such as walking, squatting and landing. Below is is a summary and explanation for an often misdiagnosed cause of lateral foot pain in runners. I was recently referred a patient with chronic lateral ankle pain which was not responding to current conservative treatment and physical therapy (which is always a signal that we need to delve deeper into the actual cause vs. symptoms). Patient is a 29 yo female, avid runner who was training for a marathon last year when she began to experience lateral ankle pain. 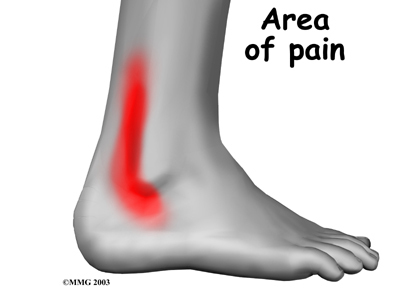 Pain is greatest during push-off and is described as dull and aching. Patient reports no history of ankle sprains or ankle instability. No acute injury associated with this pain. Patient has seen several doctors including two Podiatrists and one Orthopedists, all of which diagnosed perineal tendonitis and the recent diagnosis of subluxing peroneals. In the past year the patient has done several courses of physical therapy consisting of ankle mobility and strengthening. In addition she has tried orthotics and two steroid injections to the peroneal tendons which provided mild relief however the pain eventually returned. Patient recently had a diagnostic ultrasound done which demonstrated “subtle subluxing peroneals”. The radiologist reported being able to reproduce the subluxation when plantarflexing and everted the foot. The Podiatrist who ordered the US recommended surgery to correct the peroneal subluxation. The patient seeks a second opinion as she believes surgery is extreme for her foot pain. When considering lateral ankle pain and possible peroneal subluxation a detailed understanding of lateral anatomy is of course important. The lateral compartment of the lower leg is comprised of the peroneus longus and brevis muscles. Distally, they both travel posterior to the fibula within the fibular groove. At this level both tendons are in the same fascial sheath with the peroneus brevis anteromedial to the peroneus longus. Below the fibula, the peroneus longus and brevis muscles form separate sheaths to prepare for the longus turn under the cuboid towards its medial foot insertion. Inferiorly, the peroneal tendons are bound by the calcaneofibular ligament (CFL) and the inferior peroneal retinaculum. While superiorly they are bound by the superior peroneal retinaculum. The pathoanatomy of peroneal subluxation lies within the integrity of the superior peroneal retinaculum, its contents and the ability to maintain those contents within the retromalleolar groove. The superior peroneal retinaculum has a lateral, non-osseous roof and a floor comprised of an osseous retromalleolar groove and medial non-osseous posterior intermuscular septum of the leg portions. Often considered an issue related to the fibular groove, the pathomechanics of peroneal subluxation and dislocation is in fact not related to the fibular groove but rather to fibular position and rotation. When the fibular is externally rotated (as in the case of pronation and TFER) it causes a relaxation of the superior peroneal retinaculum and allows the peroneal tendons to roll on each other and possibly sublux over the lateral malleolus. In an acute setting the mechanism of injury is commonly a dorsiflexed foot and sudden or heavy contraction of the peroneal muscles on an everted subtalar joint and externally rotated fibula. Acute symptoms of snapping or popping with pain and feelings of instability are common with a true peroneal dislocation or subluxation, and often times the peroneal tendons can be seen snapping over the fibula. When we consider subtle peroneal subluxation the pathomechanics are similar to that of an acute or true peroneal dislocation, however to a lesser degree. 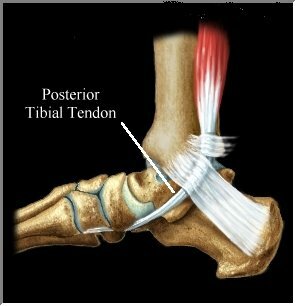 The same mechanism of plantarflexion and on everted STJ and externally rotated fibula is present but instead of snapping over the fibula, the tendons roll on each other causing irritation to the tendons and surrounding tendon sheaths. In the case of my patient complaining of lateral ankle pain, understanding her functional movement is important in determining the true cause of her symptoms. Isolated examination revealed localized pain along the peroneal tendons posterior to the lateral malleolus and the US confirmed subtle subluxation reproducible during plantarflexion and eversion of the foot. Knowing my patient’s diagnosis, pathomechanics of this diagnosis and having assessed her gait it became quite apparent that the driving force behind her pain was the tibial femoral external rotation present during her gait cycle. I was first introduced to the concept of TFER in Shirley Sahrmann’s book Movement System Impairment Syndromes of the Extremities. 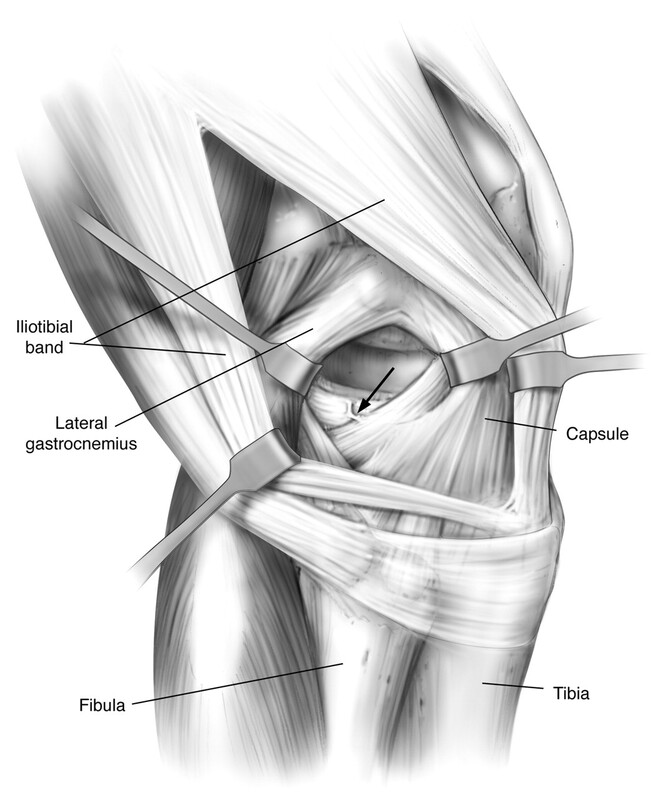 Sahrmann describes TFER as an external rotation of the tibia / fibula relative to the femur. Most often observed during the propulsive phase of gait this TFER impacts alignment during midstance (causing knee valgus) and propulsion (abducted push-off on an everted foot). This push-off in an abducted and everted foot is the movement that reproduces subluxation of the peroneals. When treating TFER always start with mobilization or inhibition of the overactive muscles. If knee valgus is present with the TFER then much focus should be on the TFL/ITB. I hope that this case presentation leads to a deeper appreciation for the importance of looking at functional movements and integrated systems when assessing patients with localized pain. I’ve been seeing a large number of patients with over-pronation syndrome presenting with lateral ankle pain and subsequently finding out through MRI that they have peroneal tears. I believe that the driving force behind these peroneal tears in the over-pronated foot are due to overlooked subtle peroneal subluxation secondary to TFER and pushing off (plantar flexing) on an everted STJ. I am doing a small study to further evaluate this concept and appreciate any feedback and interest in this topic that you may have!